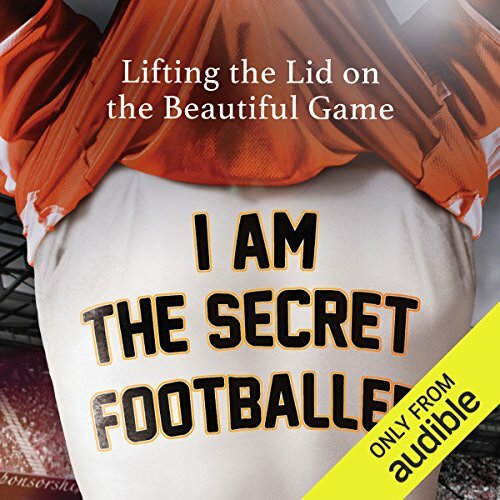 "It is often said that 95% of what happens in football takes place behind closed doors. Many of these stories I shouldn't be telling you. But I will." Love the real conversation on the social, and sport issues and reality of the game. Enjoyed it very much !!! I enjoyed the story very much !!! Good writing, good story and good performance!! Can't wait to here more !! Wonderful story and the narrator was flawless. Whoever the secret footballer is (or all of the Secret Footballers) is/are, please keep writing. 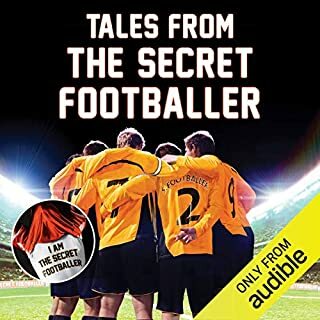 For fans of football (soccer) or anyone who wants to know the stories you seldom hear about professional sports. Not as interesting nor as insightful as I had hoped! Not as interesting nor as insightful as I had hoped! Pretty average in truth. 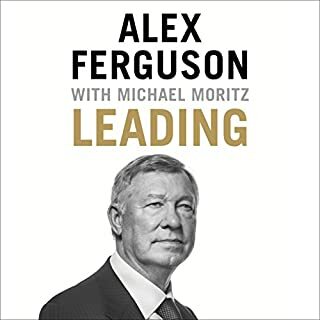 I believe it could be more interesting - but leans towards the gossip more than the tactical / technical side of the profession... Which is a shame! 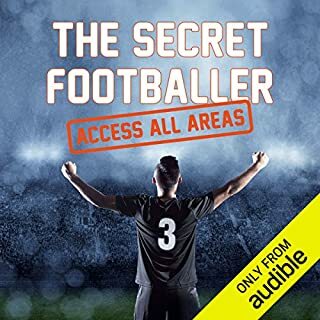 Out on audio book at last!!! 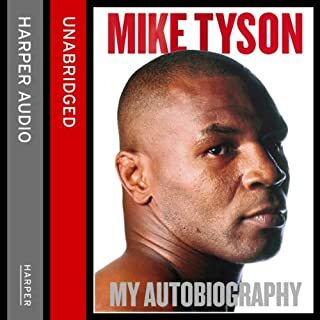 I read this when it came out and have been longing for the audio book. 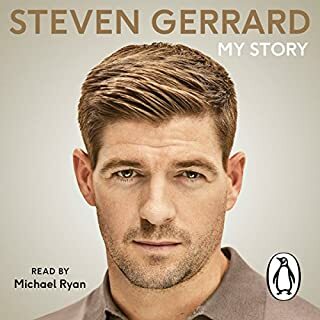 Good choice of narrator, intelligently written, funny, and one of my favourite books about football. Not just a great insight but a wonderful personal story of a world few understand better! 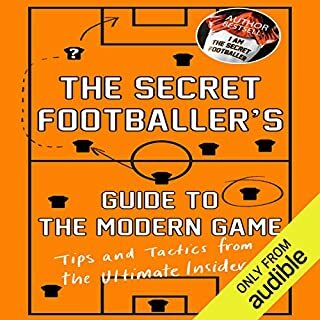 I would recommend anyone interested in those in the public eye and not just football to read/listen! 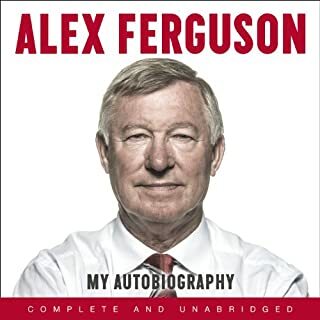 If you love football then this book is for you. . interesting and informative. Well done to the secret footballer whoever you are. I don't really know what to make of the fact this book has 4+ star rating overall. If I had paid more than £1.99 for this (Daily Deal) I would have been truly mortified. I am a huge football fan and have seen many credible documentaries on the inner workings of a football club, agents and football politics. This book gave no interesting insights whatsoever. 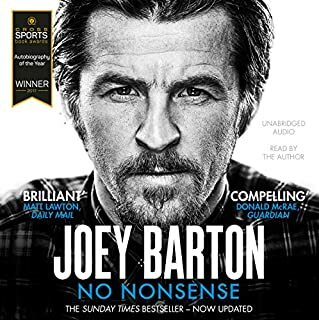 It actually read as if it was written by a footballing version of Alan Partridge, which lines such as "the banter was razor sharp". To say that I dragged myself through this is the understatement of the year. Just trying to waste time before my next free credit. 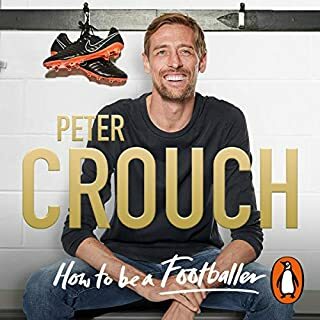 If you have a passing interest in football and enjoy reading the many autobiographies of great minds such as Katie Price and Peter Andre, you may enjoy this book. Or alternatively, save your money and start following Robbie Savage and Stan Collymore on Twitter. 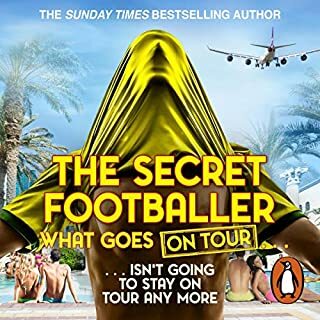 overall enjoyed the reading but felt less than favorable to the secret footballer though he seems the best of an truly awful bunch of spoilt brats. A great book. 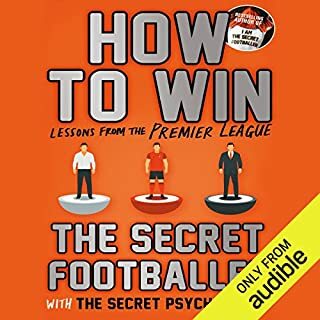 Very enjoyable and would recommend to any football fan. Some quality tales but with an enlightened view point. I fail to see how anyone would learn anything from this book. 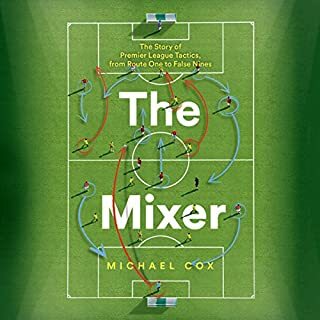 Not being a fan or follower of football this book was a nice surprise, well written and very informative and a great insight of the game. It touched on many aspects of the game as well as many personal points which balanced out the media perceived views. Perfect narration as always from Damian Lynch. Decent listen but hoped for more. Never fully got going and didn't go into the depth I had hoped for. Was interesting throughout however and it's a great concept by a guy who seems quite likeable.